It is the stuff of nightmares: Tracey and Dann Stadler were out celebrating a joyous occasion – their 4th wedding anniversary. Driving home responsibly, they were struck head on by a drunk driver who was driving in wrong lane down the highway. 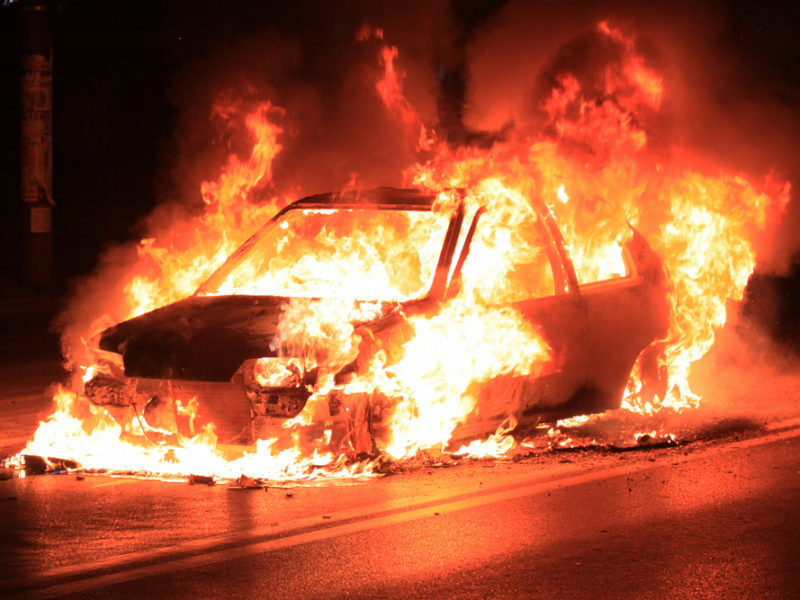 After the collision, a fiery nightmare became real life. Chances of survival – slim to none. But responding to fervent intercessory prayers, God sent down his angel to rescue this desperate couple. Read on to discover the awe-inspiring power of prayer. The driver of the other car died immediately, leaving Dann and Tracey to struggle for their lives. Frighteningly, they were both awake and conscious, but they were trapped under a pile of heavy debris, unable to escape the growing blaze of the fire. That’s right – sensing the impossibility of a human rescue, the onlookers passionately prayed for a divine rescue. Rescue efforts continued, but the situation continued to worsen. “I remember leaning up and looking at all these people lined up and they were hysterical. And I remember even locking eyes with a woman,” Tracey reported. Amazingly, Dann corroborates Tracey’s entire story, saying that he witnessed the same Heavenly being. “He appeared to have a glow about Him,” Dan remembered. A seemingly hopeless situation suddenly turned into a miracle due to the power of prayer. And then profound healing occurred. The angel remained with the couple, put His hands over them, and healed them. The couple abruptly and unexpectedly awoke, safe and sound away from the fire. They would live to see another day – a blessing they received straight from the hands of God’s angel. It is personal testimony of hope, healing, and miracles that are often the most effective in bringing others to the faith. Recognizing this, Dann and Tracey are determined to share their incredible story with everyone. They want others to experience God’s love – a love that is more consuming than even the flames of the most horrific fire. They have written a book, Angels in the Fire, to put into words their remarkable experience. Praise God for His love that sustains us, His might that rescues us, and His good plans that direct us! May we all invoke his name whenever we face a seemingly insurmountable obstacle, remembering that He can and will move mountains – and even cars – for His children.